There’s a huge selection of cycling events to take part in, both around the UK and further afield. Whether you are looking for a night ride, a sportive or an international challenge there is something to suit you. To find a cycling event close to home visit British Cycling to search for events in your local area. If you are interested in multi-day events across the UK, Europe, Asia or America check out Discover Adventure's online brochure. Once you’ve selected your event and registered with the organisers, get in touch on 0207 940 1769 or email events@bowelcanceruk.org.uk to tell us what you’re doing. Alternatively, fill in the form below to let us know your details and your cycling jersey size and one of our dedicated events team will be in touch. 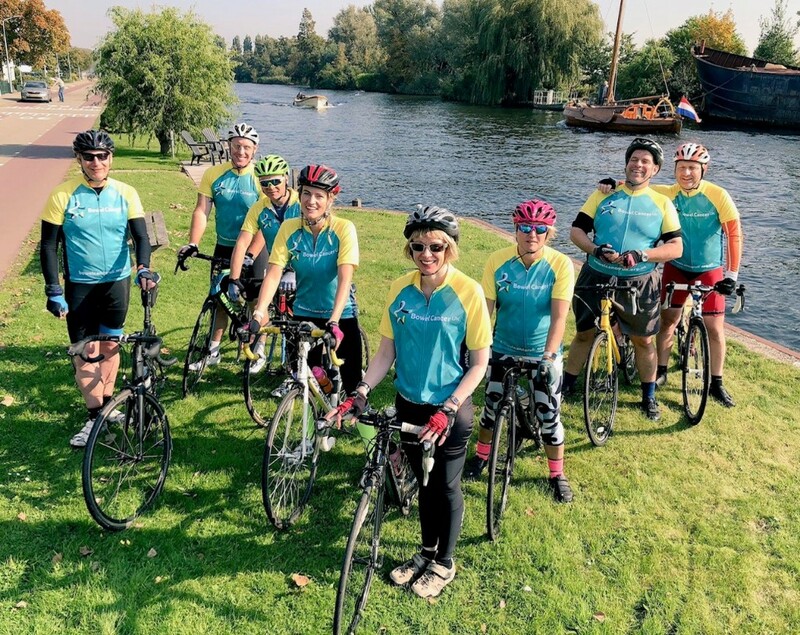 Our events team will be here to support you all the way, from your initial welcome pack including sending you a Bowel Cancer UK cycling jersey to wear with pride, through to congratulating you on your achievement. We will of course send you regular training and fundraising updates to make sure you have the best experience. Any funds you raise through your online page will automatically come through to us. If you have offline sponsorship to send in please visit our ‘paying in your sponsorship’ page for full details.